Deciding on an engagement ring that fits your style and personality not to mention the one that will have you gleaming from years to come is definitely not an easy choice to make. Whilst the discovery to finding the right one may be an overwhelming experience, feel rest assured with celebrity jeweller and founder of Vashi.com, Vashi Dominguez’s top tips on choosing the right engagement ring for you. The good thing about style is that it’s down to personal choice and there is no wrong or right way to reflect this in your engagement ring. A fundamental tip to consider when deciding on the style of your ring is whether you want a more traditional or trend led ring. Coloured stones are hugely popular and very fashionable engagement rings worn by many celebrities from the likes of Kate Middleton, Halle Berry and J-Lo. These adventurous styled rings make stunning and beautiful statement pieces, however if your personality suits a more traditional stance, white bold diamonds are definitely the choice for you. Trying to eliminate from over 10 different diamond shapes to the perfect one, maybe the most difficult part in the selection process. 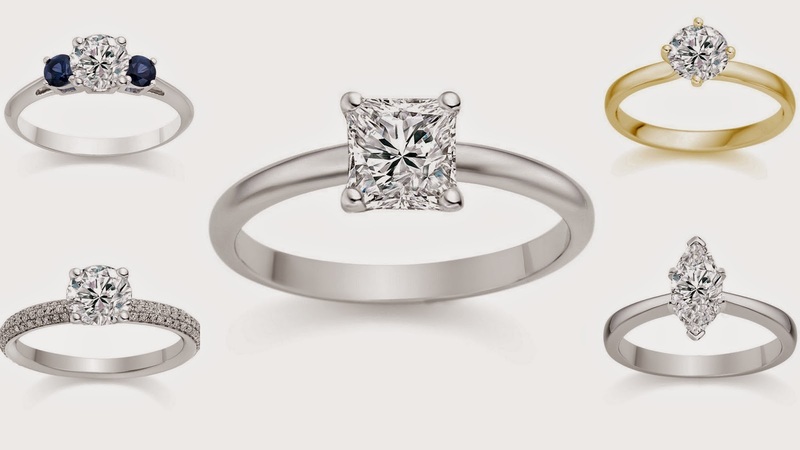 Round and Emerald cut engagement rings have long been the favourites amongst many women wanting to walk down the aisle. Try on a few different shapes and have fun trying to untangle the cut that suits you best. Here’s a little secret in making a huge saving when buying a diamond engagement ring. It is important that you’re fully aware on the diamond magic carat weights. These are the under-size diamonds that weigh just below a carat weight such as 1/2ct, 3/4ct, 1ct, 1.5ct, 2ct etc. Purchasing a 0.95 carat diamond instead of a 1 carat could offer a great saving of up to 30% with little ‘visual’ difference between the two. If goes without saying that a huge glittery diamond will look fantastic on a delicate finger, however when choosing a ring for you, you must take into consideration your day to day activity. An active lifestyle or profession that requires excessive use of your hands will require a robust and secure engagement ring that doesn’t scratch easily. Rings that encompass gemstones are at a greater risk of being impaired in scenarios like this. If you’re not content with the idea of regularly removing your engagement ring, you may wish to choose a plain band with a beautiful diamond centre stone. If you still haven’t found a pre-set engagement ring for you, why not create your own. A bespoke service allows you to purchase loose diamonds and create with your jeweller the perfect ring for you, suiting all your needs. The four Cs method for diamond grading (cut, clarity, colour and carat weight) is the perfect tool to help you with your selection process. There’s a quick breakdown on the four diamond grading. Cut - Looks at the reflective qualities of the diamond. A well-cut diamond will allow light in and release a better sparkle. Clarity - Refers to the amount of small imperfections within a diamond. The clearer the diamond the better. Colour - The white (colourless) the diamond the better the quality and sparkle. Carat weight - Explores the unit of weight in which the diamond is measured. The higher the carat weight, the bigger and more valuable the diamond.